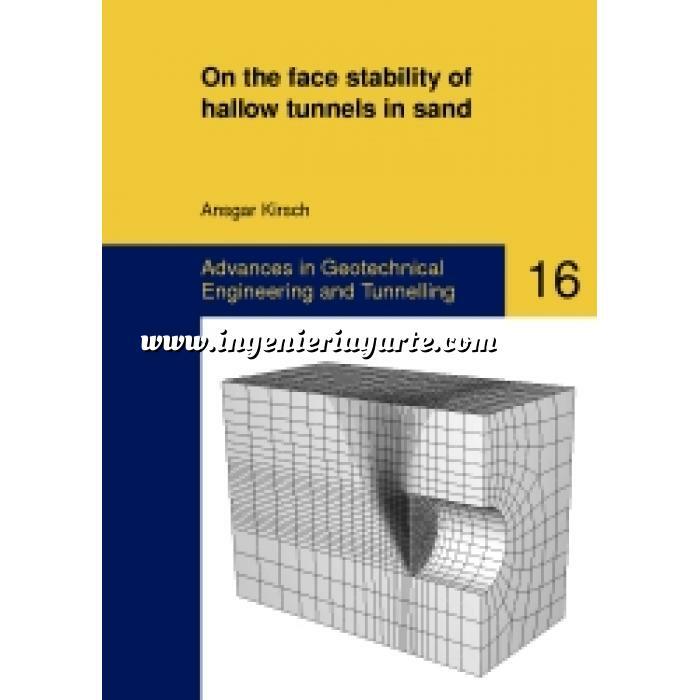 Various models have been proposed for the prediction of the necessary support pressure at the face of a shallow tunnel. To assess their quality, the collapse of a tunnel face was modelled with small scale model tests at single gravity. The evolution of the failure mechanism and the development of the support force at the face in dry sand were investigated. The observed displacement patterns show a negligible influence of overburden on the extent and evolution of the failure zone. The latter is significantly influenced, though, by the initial density of the sand: in dense sand a chimney-wedge-type collapse mechanism developed, which propagated towards the soil surface. Initially loose sand did not show any development of a discrete collapse mechanism. The necessary support force was neither influenced by the overburden nor the initial density. A comparison with quantitative predictions by several theoretical models showed that the measured necessary support pressure is overestimated by most of the models. Only those by Vermeer/Ruse and Leca/Dormieux were able to predict the necessary support pressure on a 95% confidence level.